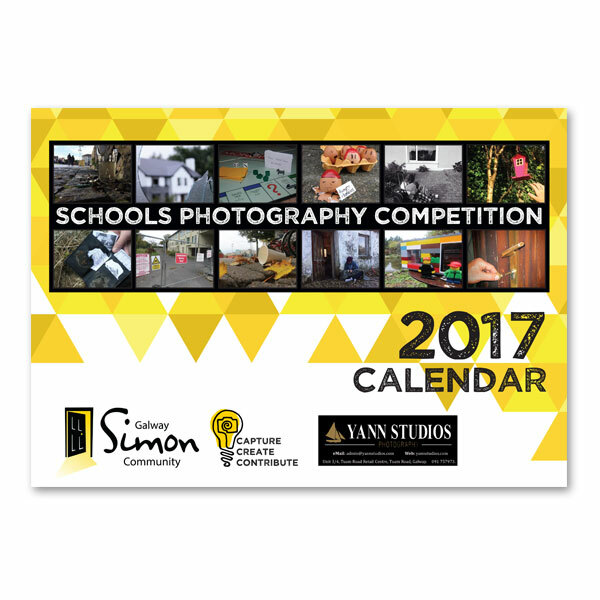 The Galway Simon Community partnered with Yann Studios to run the Capture, Create, Contribute photography competition with transition year students from local secondary schools to capture their perspectives on homelessness. 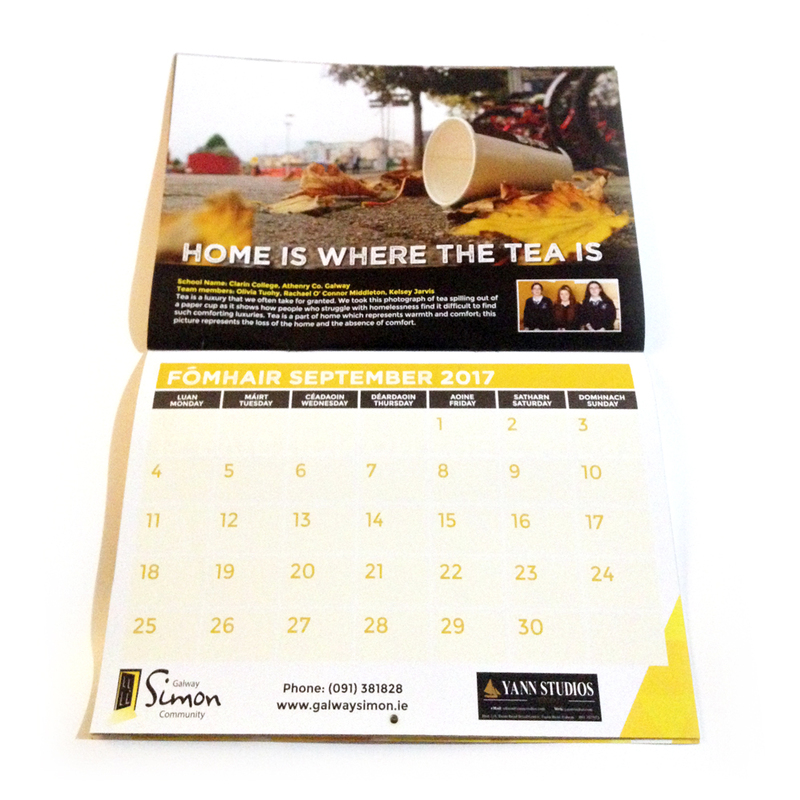 The twelve finalist images were featured for each month of the 2017 calendar, along each team’s ideas for their photos. 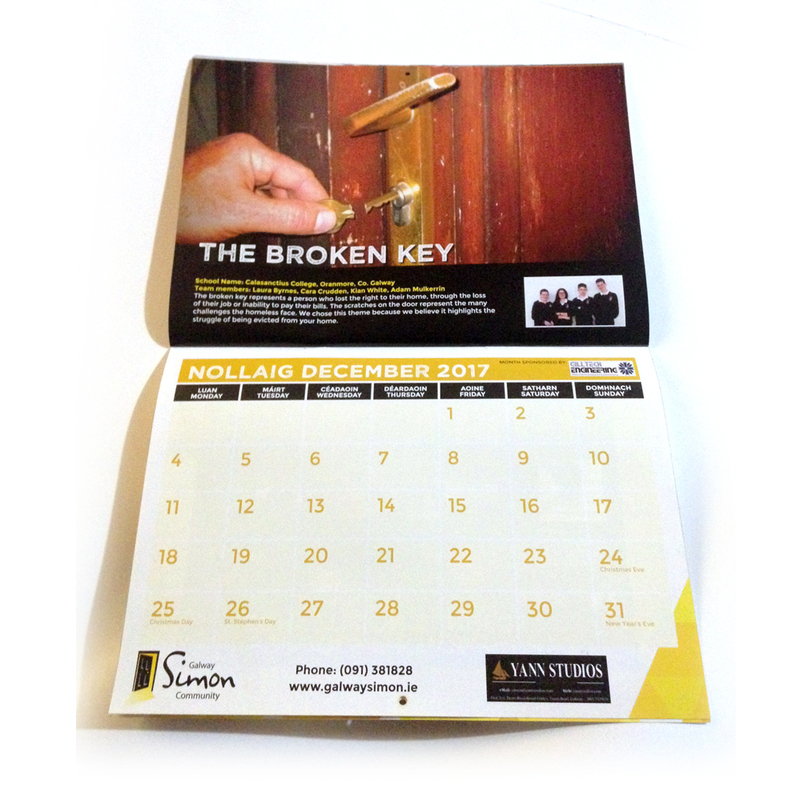 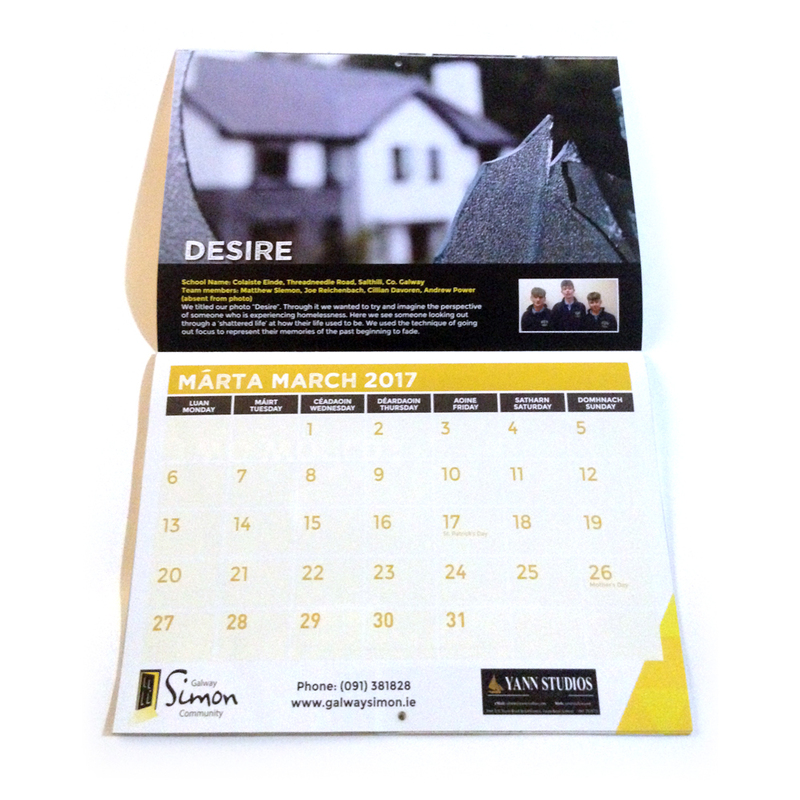 Calendars are available to purchase from Galway Simon shops throughout Galway.